Some of the chief considerations when purchasing a home is location (distance to local amenities), school district and long-term value. 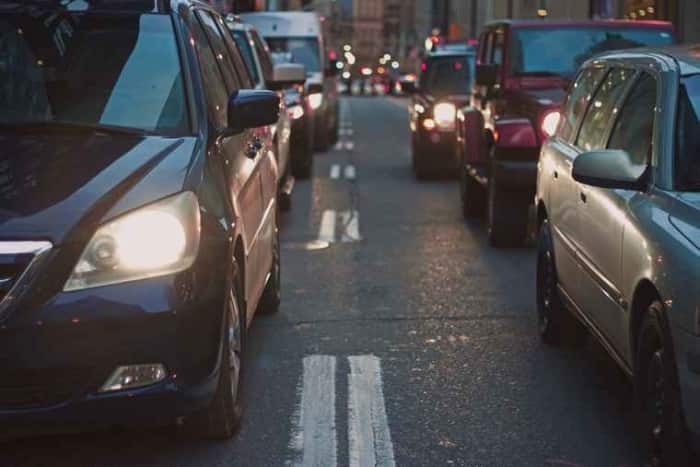 Lightstone today release their analysis on how the population density in prevalent Johannesburg and Cape Town suburbs is directly affecting drive time during peak hours. A data set provided by Tracker assisted in creating the patterns that were analysed in the different metros. According to Google Maps an average drive from Pretoria to Sandton should take approximately 37 minutes. 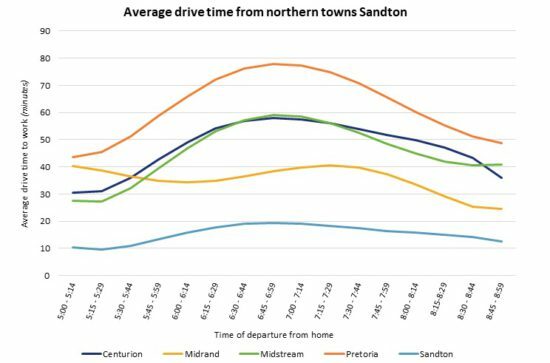 Lightstone’s analysis of data, over the period May to August 2017 concerning the average morning drive between the two metropolises designates that if commuters leave at 05:00 am, it would take 45 minutes to reach Sandton as opposed to those who leave home at 06:15 am and spend a whopping 75 minutes en route. These findings are indicative of why it is recommended that employees amend their departure times in order to spend less time on the road thus being more productive and time efficient. The below graphs display the data evaluated between 05:00 am to 09:00 am during weekdays and includes all suburbs in the major commuter belts between Pretoria and Sandton. In similar findings of the same nature, commuters traveling from the South of Gauteng (Alberton, Benoni, Edenvale Kempton Park, Johannesberg CBD) to reach Sandton also struggle with morning congestion during week days. A drive from Alberton to Sandton should take an average of 37 minutes, however, individuals would spend up to 71 minutes in traffic when leaving home at 07:00 am whereas other commuters would only spend 40 minutes stuck in traffic if they departed at 08:45 am. 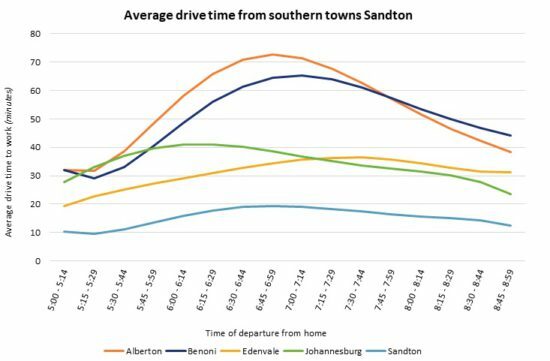 The most significant findings in this particular graph is that the distance between Benoni to Sandton is six kilometres further than Alberton; however residents of Benoni would save an extra 10 minutes as opposed to those who live in Alberton. The data set provided to Lightstone by Tracker for analysis, furthermore included statistics relating to Cape Town and its outskirts. 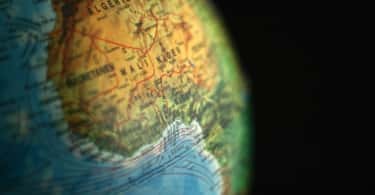 When comparing the two metros, it is surprising to find that Cape Town traffic peaks 15 minutes earlier than Johannesburg considering that the data was collected during the winter period when the sun rises later in the mother city. An average drive from Kuilsriver to Cape Town should take no more than 35 minutes but during peak travel time this time increases to 66 minutes at 06:00 am and drops significantly to 37 minutes at 08:00 am. 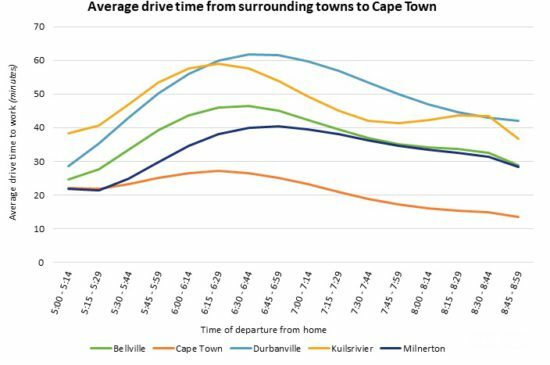 The remarkable fact about the findings on the graph is that Kuilsriver is located 26 km from Cape Town whereas Durbanville is 29 km from the city centre, but drive time is 16 minutes faster from the latter. When taking a holistic look at the results Lightstone has compiled, one can easily deduce that leaving home before 05:45from densely populated areas like Alberton and Kuilsriver could constitute to a drive time of only 40 minutes compared to an increase of 30 minutes’ drive time (total 70 minutes) when leaving home at 06:15 am. 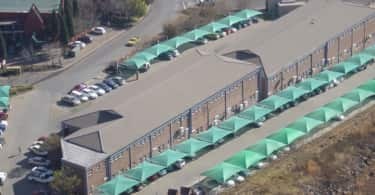 When taking the main requirements of potential home owners into account, they rarely take peak drive times into consideration and are willing to sacrifice this element for other unique selling points like schools and shopping centres.